Antonio Falcón obtained his Industrial Engineer degree, specializing in Electricity, in the Superior Technical School of Industrial Engineers of Las Palmas in 1980. In 1983 he was named as Industrial Engineering Doctor by the Polytechnic University of Las Palmas. He started his teaching and researching activity in the S.T.S. of Industrial Engineers of the Polytechnic University of Las Palmas, antecedent of the Universidad de Las Palmas de Gran Canaria. Later, in 1992, he was part of the teaching staff of the Informatics Faculty of the ULPGC as full professor, reaching in 1992 the lecturer category. 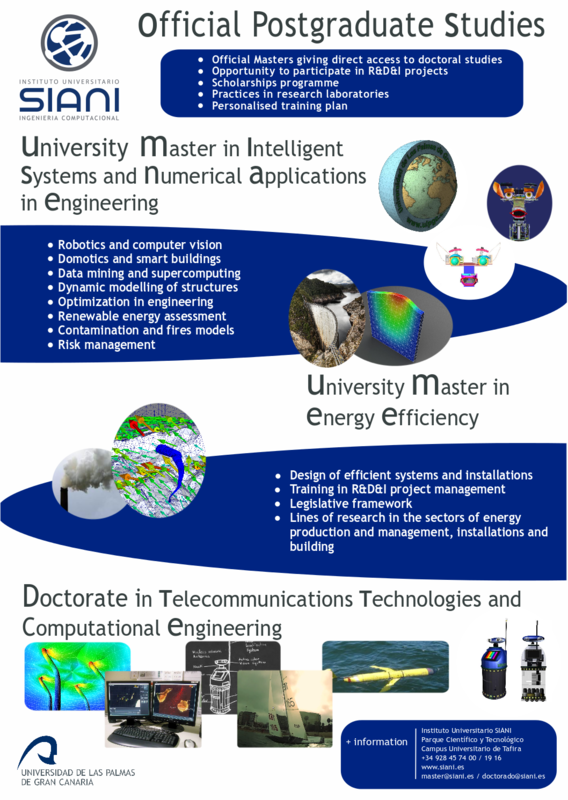 His researching areas in his job are centered in computer vision, image description an analysis, percepto-efector systems, interfaces and intelligent systems. He has participated in some congresses and published numerous articles, book chapters and books. He has also participated in and managed competitive researching projects. Previously he has been SIANI’s director and, from 25th of April, he is vice rector of R&D of the ULPGC.